Complete your annual IA refresher training online with the leader in IA certificate renewal. The Gleim Inspection Authorization Renewal Course (IARC) allows you to meet the IA recurrency requirements in a convenient online format. You can complete your refresher training using the online course at your own pace any time during the 12-month period for IA recurrency training, which ends on March 31 each year. There is an extensive variety of study units to choose from. You may choose to study only the information that directly applies to or interests to you, or expand your knowledge learning about unfamiliar concepts. IARC takes about 8 hours to complete. 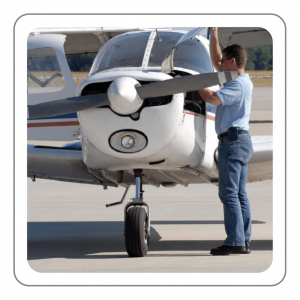 This course set includes your choice of any 8 study units to meet the FAA requirements. If you would like to have access to additional study units, consider upgrading to the IARC unlimited access set. A current list of study units is available below. NOTE: You must complete the IARC prior to March 31 on any given year to maintain your IA certification. Access to the course will expire on April 1, regardless of when you have purchased the course. Gleim is the first-ever online IARC authorized by the FAA to issue certificates of training upon completion of our program, which can be used for IA refresher training. Please see our FAA Letter of Acceptance for details. For additional information on this course, visit the Gleim IARC informational page. Make sure your computer meets our minimum system requirements.